 Build and manage your cloud storage solution with cURL RESTful APIs. Save, download, move, delete & check presence of business documents. Use cURL to send requests to the GroupDocs.Storage Cloud REST API for performing different Storage related operations in Cloud applications and websites. 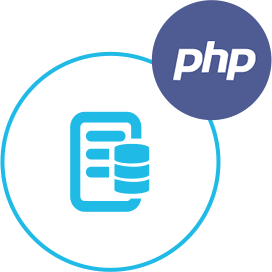 The API comes with many storage related features crucial to organizations including support for default GroupDocs storage along with 3rd party storage services. The API supports HTTP requests and get responses in form of JSON or XML data. Hence, any language or platform which supports the HTTP requests and responses is capable of running the API. Supported Operating Systems and Framworks. GroupDocs.Storage Cloud supports a number of 3rd party storage services. An overview of the features supported by GroupDocs.Storage Cloud for cURL. It is easy to get started with GroupDocs.Storage Cloud as there is nothing to install. Simply create an account at GroupDocs Cloud and get your application information. Once you have the App SID & key, you are ready to give the GroupDocs.Storage Cloud REST API a try with any language - on any platform. cURL can be used to send requests to the API and utilize its features. The GroupDocs.Storage Cloud API is secured and requires authentication. Users need to register at GroupDocs Cloud and get their app access key ID and app secret access key. Authenticated requests require a signature and AppSID query parameters or OAuth 2.0 athrorization header. The easiest way to try out GroupDocs.Storage Cloud API right away in your browser is by using GroupDocs Cloud Web API explorer, which is a collection of Swagger documentation for the GroupDocs Cloud APIs. It also provides testing and interactivity to our API endpoint documentation. GroupDocs Cloud is very flexible and allows its users to use their own cloud storage or some other 3rd party storage services they are comfortable with. GroupDocs Cloud goes beyond limitations and act as a kind of Gateway between a Developer and the Cloud Storage of his users. 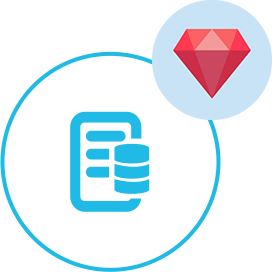 This will allow you to write your Application once, and we'll take care of both the File Formats and also letting you support many different Cloud Storage platforms through a single consistent interface.